I think it all depends on how much time to you want to spend in the saddle riding up and back. If you want to spend 12 weeks on the road getting to and from then ride, but if you'd rather spend that time riding in Alaska, buying up there is the way to go. It is all about what you want out of the trip. Go with your heart. 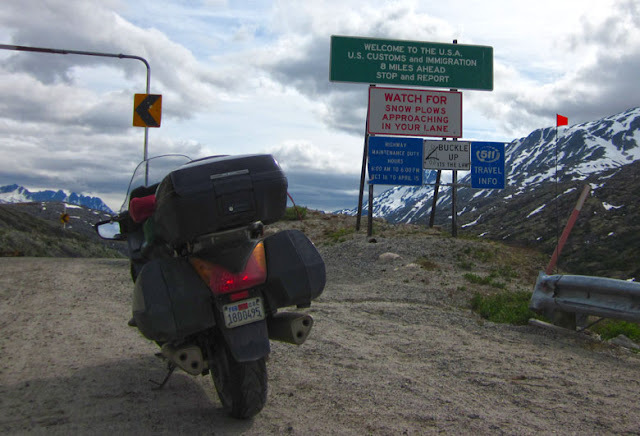 Several years ago, I rode from Fairbanks to Monterey, CA, and back. Even with the week in Monterey and a week in OR, the whole trip was a month. I think that was 300-600 mile days. It's a great road trip! Two years later, I did it with a Ural so the miles/day were a lot less and more time was spent repairing things. But still, only 9 weeks. Very cool cool, Steve. No bad options in your future. Curious to see what you end up doing! Funny how time slips away. You gave me good advice when I was contemplating an Alaska ride a few years back. 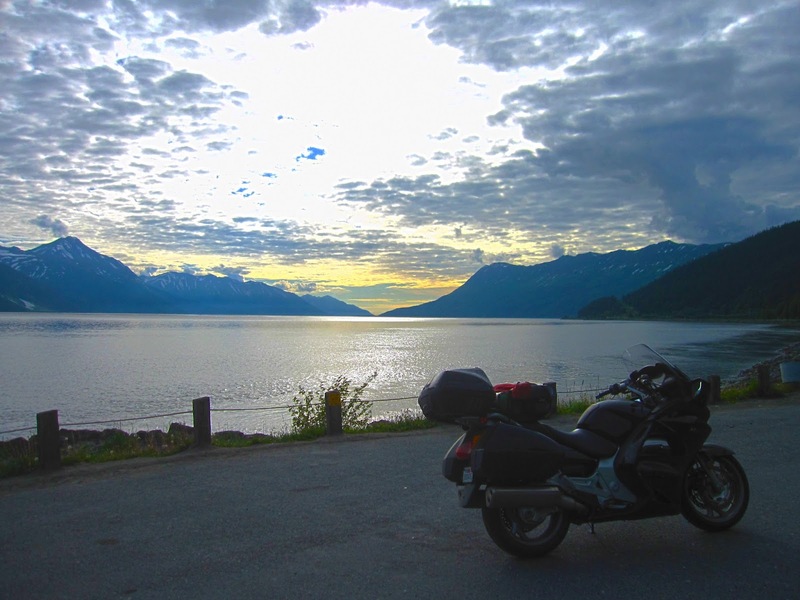 Of course looking at that photo of Turnagain Arm and seeing your bike there makes me want to go there even more. Now that I'm home in San Diego it seems so far away. But it just depends upon how we get there. Maybe another option?